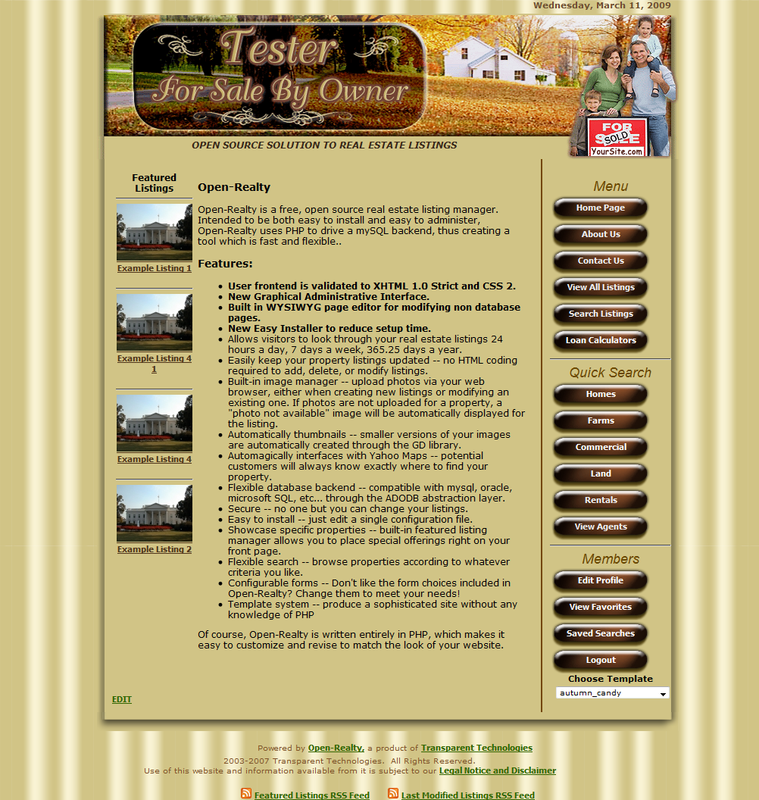 Open-Realty® has a great range of features that you can use on your web site. Plus with the intergration of Addon programs you can do any thing with this program. 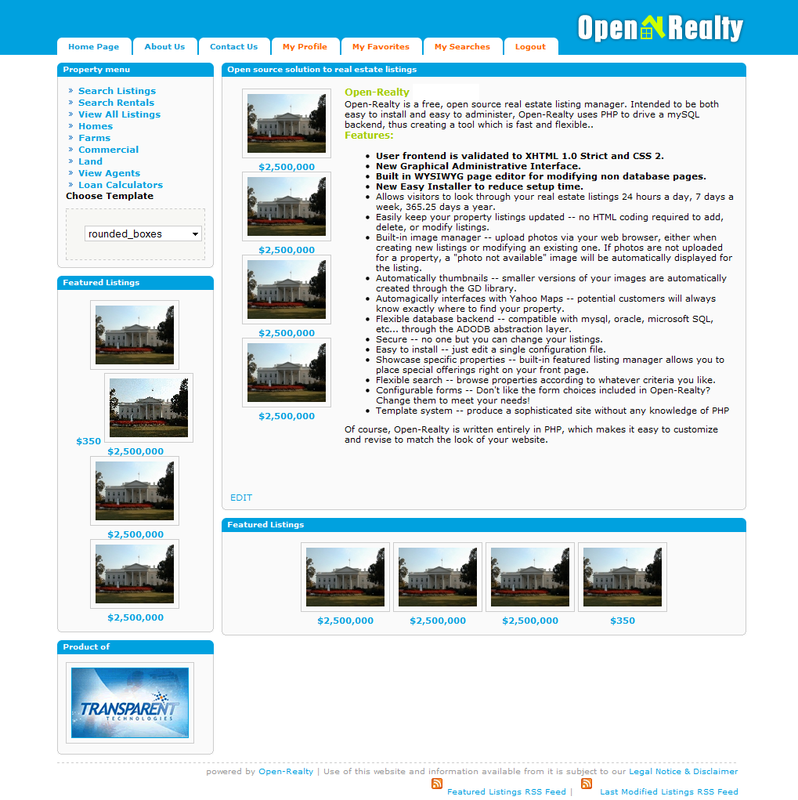 Open-Realty automatically creates image thumbnail for you. Upload Virtual Tours for your listings. Visitors to your site can signup as members, where they can save searches and get email notifications when new properties are added that match their search criteria. 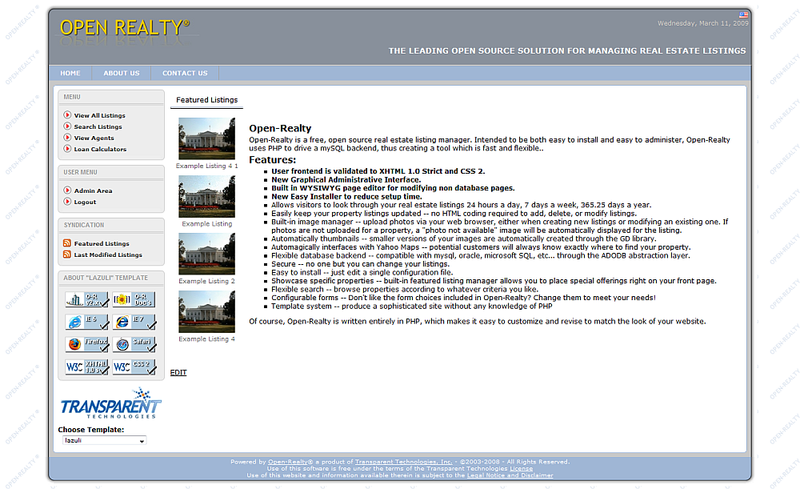 Open-Realty Automatically places map, school, and neighborhood information links on your site for you. Built in contact form provides an easy way for interested parties to contact you, without you having to place your email address on the site for spamers to gather and use. Built in search engine optimizations help, ensure that your listings appear on the search engines, when buyers are looking. And More... You will need to download the program to see.. 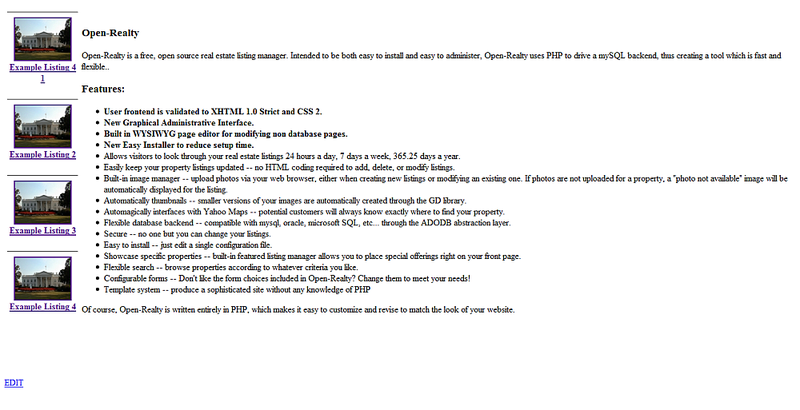 Features For Web Designers & Web Programmers. 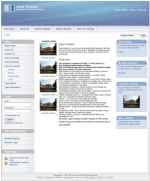 Template System to allow easy customization of the main site. 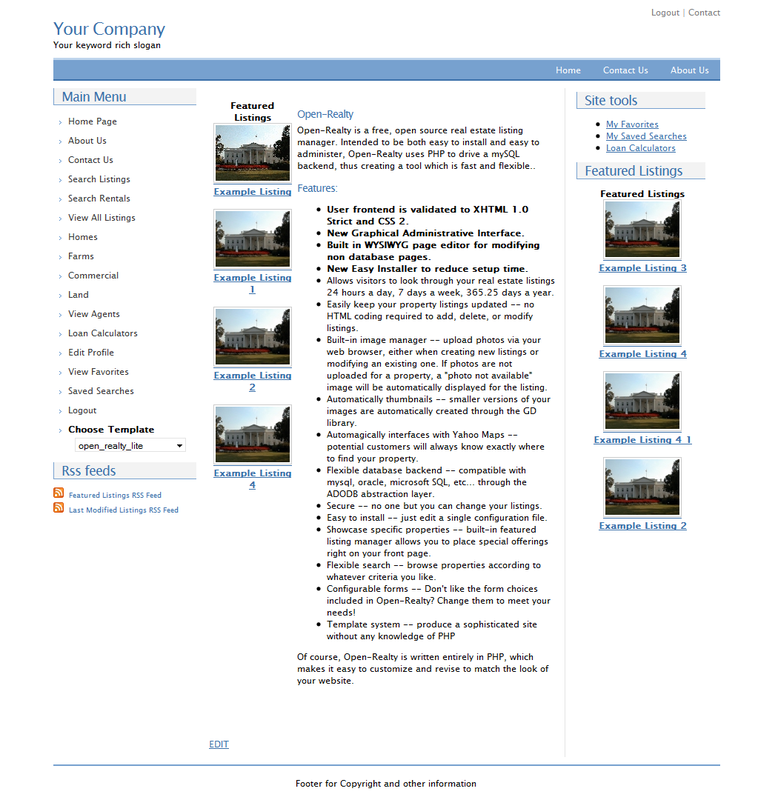 Template systems allows customization of listing pages, view agents pages, search results, featured listings, and more. 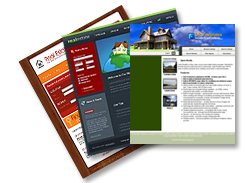 WYSIYG Editor allows you to give agents the ability to customize pages without being able to change your site design. PHP code design is object oriented. Addon system allows you to build many new features for clients, without modifying any core files, allowing them to easily upgrade down the road. Source code is open-source and actively maintained with a large support community. The robots used by search engines have problems with dynamic pages that are created by most Content Mangement Systems. 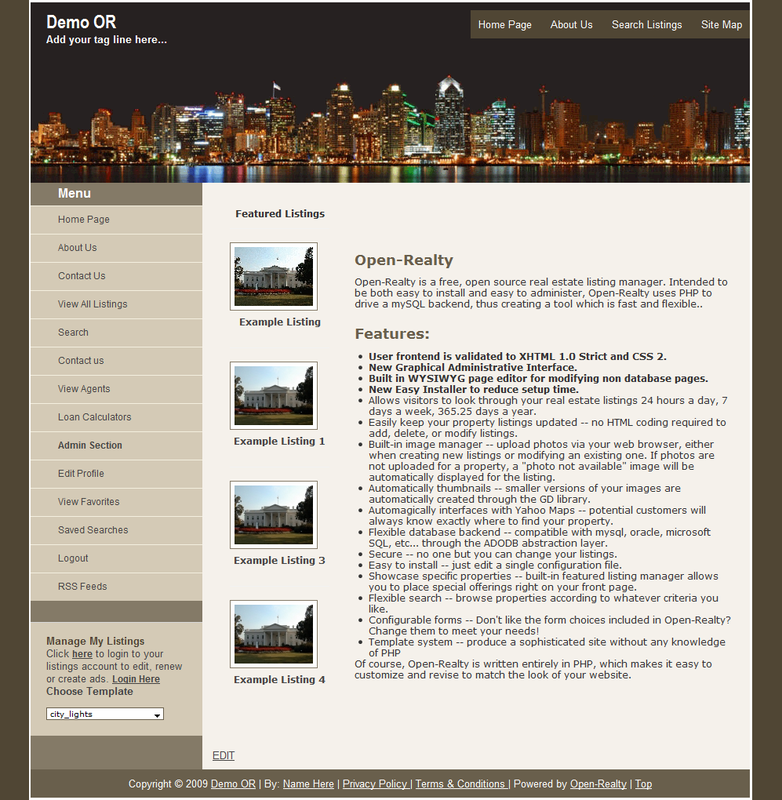 However, Open-Realty® converts dynamic URLs into static URLs so that they can be indexed! For example, a link such as: Open-Realty.co.uk?index.php?action=page_display&PageID=3 would be rewritten to Open-Realty.co.uk/page-About+Us-3.html. 95% of internet users employ search engines as a starting point to find information. 85% of these use the top 10 major search engines and directories. 80% of search engine users never look further than the first 15~20 search results. 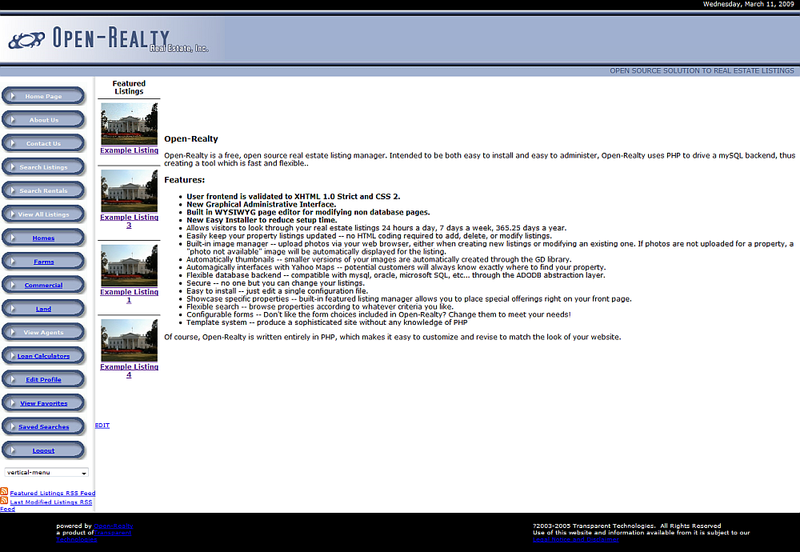 Display your images online and have Open-Realty® take care of resizing and sorting. No longer will you need to open your FTP program to upload images. Unlike other systems that require uploading image by image, Open-Realty® allows you to 'Batch Upload' all of your images at once saving many hours of tedious work. 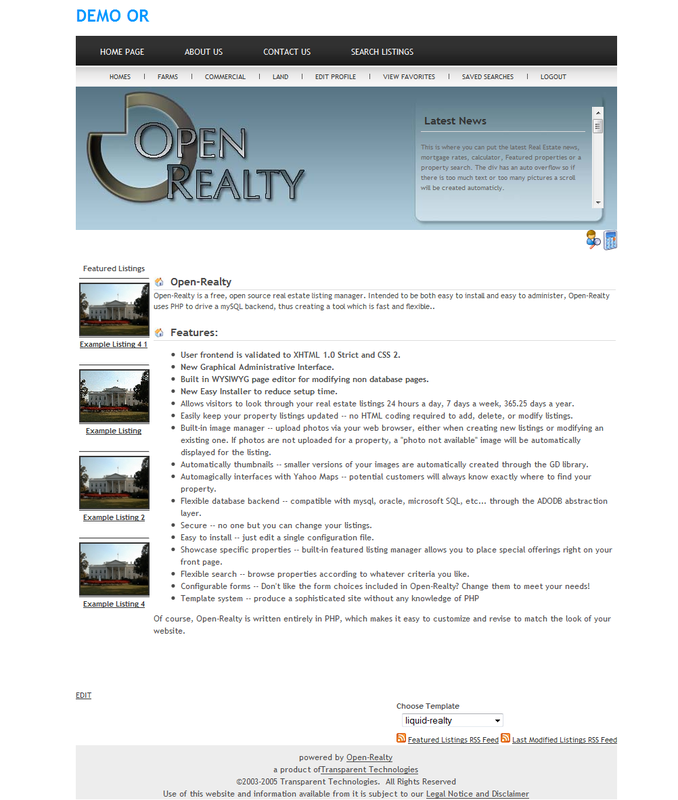 Open-Realty® Because Open-Realty® supports unlimited agents it allows agents to submit their own images too! Editor allows you to edit pages such as the contact and about us pages on your site, without any HTML knowledge. Each page section of your site can have different options added to the pages, and various addons can be added to the page. Create your pages easily with one of the best editors available. This HTML text editor brings to you many of the powerful functionalities of known desktop editors like Word. Images and tables can easily be added using the Wysiwyg editor. The editor is compatible with the most important browsers available in the market: IE 5.5+, Firefox 1.0+, Mozilla 1.3+ and Netscape 7+. For More Languages Why not Go Here..
Why not Contact Us for more information!